If you’ve got £30,000 to spend and want a car loaded with luxury kit then one option would be a new Ford Mondeo in Titanium X trim. 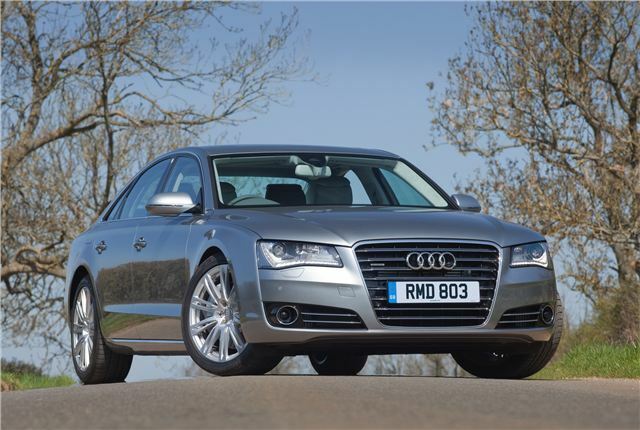 A more adventurous alternative though is a used luxury saloon. Often underrated, the A8 is a fine luxury saloon combining subtle looks with superb build quality. Aluminium construction keeps weight down to a reasonable 1850kg or so and it comes with plenty of kit including the user-friendly MMI multi-media system. You’ll find plenty of 2011/12 diesel models at franchised or independent dealers, most with less than 40,000 miles, and we’d recommend the 3.0TDI in SE Executive specification for its blend of economy and refinement. 0-60mph takes just 6.1 seconds and you’ll average over 30mpg.